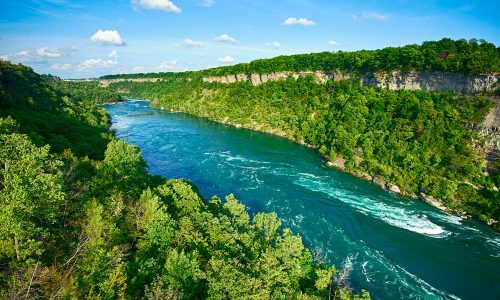 In 1996, the entire Niagara River corridor – stretching 56 kilometres from Lake Erie to Lake Ontario – became the first site in North America to receive international recognition as a “Globally Significant Important Bird Area” by major conservation groups in both Canada and the United States. Starting mid-November, the river comes alive with the aerobatics of more than 100,000 gulls on migratory flights from as far north as Greenland and the Canadian Arctic to as far south as Florida. 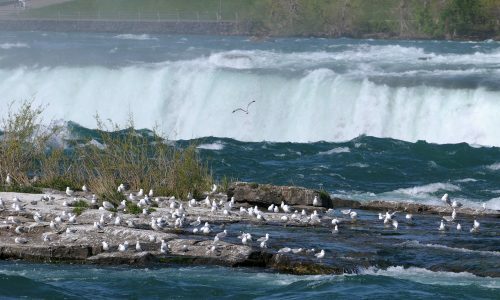 Bird counts have named up to 19 individual species of gulls on the Niagara River, among them 50,000 to 75,000 Bonaparte's Gulls. That's as much as 10 percent of the world's population! Nature buffs may catch a glimpse of other harder-to-find species like the Franklin's and Sabine's Gull, and rare species like the California Gull, a native of the west coast, and the Slaty-backed and Ross's Gulls, which nest as far away as Siberia. The Niagara River is also a major wintering area for numerous species of ducks, geese and swans. Along the Canadian shore near Old Fort Erie, people gather with binoculars to watch American Widgeon, Redhead, Canvasback and numerous other species of ducks. The ducks can be seen diving and bobbing for fish downstream from a floating boom Canada and the United States installs across the head of the Niagara River each winter to hold back massive fields of lake ice.